Al Czervik (Rodney Dangerfield’s character in the film, Caddyshack) would have jumped in front of the line to get his hands on this prototype. Instead, Ultra-sponsored players, like Brooks Koepka and James Hahn, debuted the Caddie Bag on course at the PGA Championship. The tricked-out golf bag includes a fully functional 128-ounce refillable keg with a tap handle and pint glasses, Bose Bluetooth speaker, LED lighting, and a built-in tablet for streaming media. 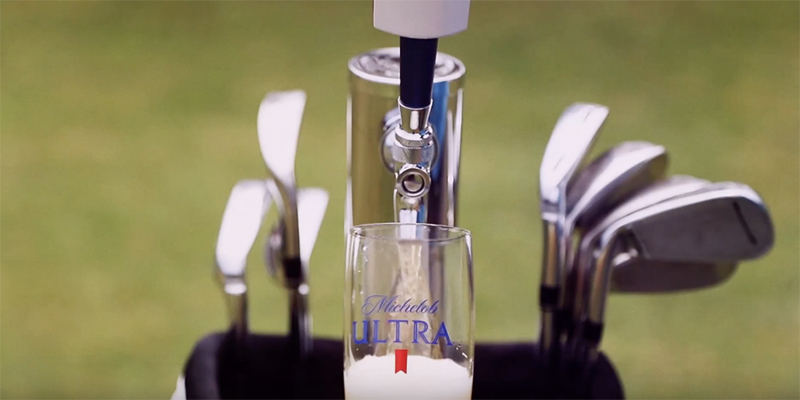 Isn’t just a matter of time before the Michelob Ultra Caddie Bag is available to everyone?